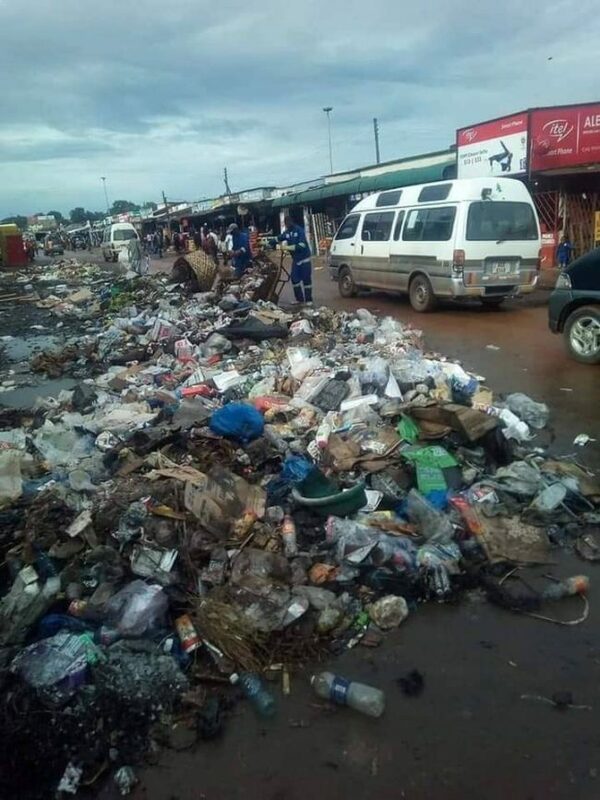 Kitwe City in a Pool of dirty.. Apparently revenue collection from marketers goes straight into PF carder’s pockets…result-Incapacited service delivery by the local authority who say they don’t have money. Ba PF becareful of sabotage by MMD. Mutati is busy campaigning for 2019. You minister of Local govt is an MMD chap. You know why the refuse is not being collected. Be warned ….. it si not time to trust these MMD fellows. Kambwili had warned you before!! Ba Kangombe . Sure kuti mwafilwa fye uku kusa ifiko . And you call yourself a Mayor . Mwaishile ne chimwela but now Kaya!!!! This has to stop. Mr. Edgar Chagwa Lungu SIR please can you step in and stop this madness. How can cadres overthrow the government surely while you stand aside and watch. This country has hit rock bottom. Never before in the history of this nation have we ever experienced such levels of lawlessness where thuggery is the order of the day. Please sir i implore you to heed the cry of the masses otherwise you will only have yourself to blame for your ineptness and perceived lack of leadership. Your apparent inability to lead is hurting this country in ways you cannot even begin to imagine. You are punishing innocent people by sending them for months on end without pay. This is crippling the economy beyond measure. When will you act my dear president. Will you wake up when you are voted out of power in 2021? This is bringing the name of the president in the mad. Sure Kangombe expects presidentail directive to do refuse collection? What about this MMD Chipata Minister of Local govt. Awe sure! !